People who are trying to conceive may want to cut down on soft drinks, according to a new study. The new research, published in the Epidemiology journal, found that drinking one or more sugary drinks per day is linked to reduced fertility in women and men. 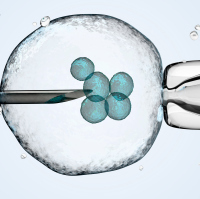 According to the NHS, around one in seven couples in the UK have difficulty conceiving and choose to turn to fertility treatments which can cost up to £5,000 per cycle of IVF. More pressure is being put on identifying risk factors of infertility, in order to reduce the psychological stress and financial implications faced by couples who are struggling to conceive. Risks may include lifestyle factors such as diet - including the daily intake of sugar. Sugar intake is a known factor in various health conditions, including type 2 diabetes and obesity. Now it has been found to be a potential factor in infertility. During the study, which was carried out by researchers at Boston University School of Public Health in Massachusetts, 3,828 women (aged between 21 and 45) and 1,045 of their male partners were surveyed. The participants' medical history was collected, along with details on their lifestyles and diet. The subjects also completed extensive questionnaires every two months until they either became pregnant or they reached the end of the 12-month trial. The data showed that daily consumption of fizzy drinks was linked to a 20% reduction in average monthly probability of conception in both men and women. Men who drank one soft drink per day demonstrated a 33% lower probability of successfully conceiving with their partner, while women had 25% lower probability of conceiving. Drinking energy drinks was tied to even great probability of infertility, while drinking fruit juices or diet soft drinks had no association with problems conceiving, the researchers said. Families travelling abroad should ensure they have the correct insurance package to cover them.